Announcement We feature Makers as much as possible - if you've made a bag or craft with our sewing patterns and/or vinyl tag us so we can re-post with credit to your work. All vinyl orders will ship in cardboard boxes or tubes unless it's under 15 oz or much cheaper to ship in poly bag- it will be wrapped in tissue, bubble wrap, or batting for protection and mailed with care. This keeps shipping costs down. 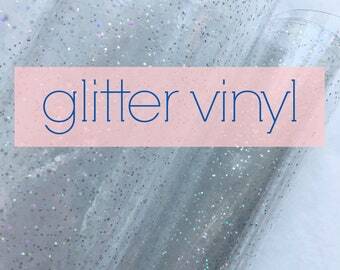 Vinyl does not "ruin" if bent -- warm it in a windowsill, on top of a radiator for a few minutes, or with a hairdryer and it will flatten out perfectly. HIGHLY recommended : teflon sewing foot or "nonstick" foot for your sewing machine. It makes it 1000% easier when sewing vinyl, it is very much worth the money. If you're making zipper cases I suggest investing in a zipper foot for your machine. We carry needles in the shop and highly rec CHROME 90/14 or 80/12 needles. If you're having trouble with vinyl it can be the needle, sometimes a microtex needle is better for tricky vinyls, but 90% of the time we use Universal Chrome needles. We feature Makers as much as possible - if you've made a bag or craft with our sewing patterns and/or vinyl tag us so we can re-post with credit to your work. 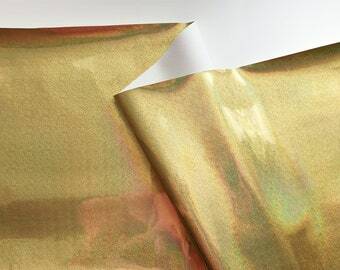 All vinyl orders will ship in cardboard boxes or tubes unless it's under 15 oz or much cheaper to ship in poly bag- it will be wrapped in tissue, bubble wrap, or batting for protection and mailed with care. This keeps shipping costs down. HOT PINK Glitter webbing strap material 1.25"
Essential oils travel case - a great way to carry your bottles so they are protected and organized. Vinyl Santorini Tote tutorial and pattern in see-through colors. Essential Oils cases are my best seller! These babies protect glass bottles and roll on tubes! Zip open Bliss Yoga bag with security zippered pockets. A best selling PDF pattern. Full video walk through on YouTube. New to sewing zipeprs? Start with my EASY Zipper Cases pattern! This quilt was featured in Modern Patchwork Magazine Oct 2017. Following bliss with a sewing machine. EVERYONE can do this, you just have to start. If you're new to sewing, follow my free tutorials on my blog at www.hungryhippiesews.com and start there. Not new to sewing but want to try something new? Make a vinyl bag or keep case. I have patterns, tutorials, and colorful VINYL in the shop. Bottom line--- YOU CAN DO THIS and I'm here to help. I have video tutorials on my You Tube channel - thank you for subscribing! I'm the hungry hippie & I'm passionate about supporting Makers. I stock my patterns as well as other high quality time tested Indie Designer patterns. I also have excellent vinyls in stock because I LOVE VINYL. Hello! I'm so glad you're here atSew Hungryhippie! I believe sewing patterns should be easy to follow and enjoyable. Never sewn a zipper? 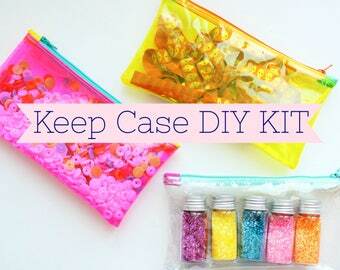 Get my Easy Zipper Cases pattern! Scared of big bags? Try my Santorini or Essentials totes- both have custom options you can leave off and do the simple way. The point is to have fun and "make". I'm here for you if you need any help! No refunds on items you've used for six months (yes I've had a request).... Be real. If you have an issue, email me, we'll sort it out. ALL mailed parcels will ship with insurance and tracking unless a letter (such as gift certificate or bias tape). Refunds for exchanges are granted when item(s) are received back and are in same NEW condition as when originally shipped. No refunds on shipping either way. AGAIN: Shipping costs are NEVER refunded, both ways. Orders will be cancelled for Buyers that have proved to be a problem, I don't have time for that and neither do you. This is my small business- I care about you so please reach out if there is an issue. I will work to make it right, but I will not allow steam rolling or bullying. PERIOD.